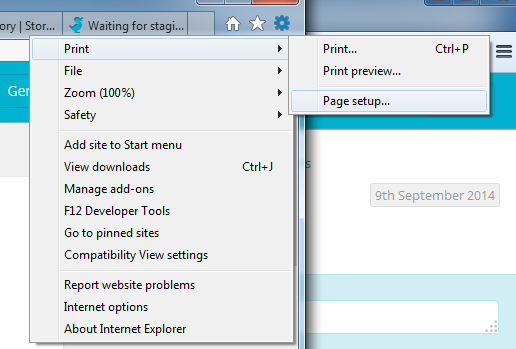 By default browsers will add the date, page number and URL to any page printed from the internet. You probably don't want text at the top and bottom of your printed stories. Luckily it's easy to fix – just follow the instructions below. Simply make sure the checkbox next to 'headers and footers' is unchecked. 1. Click the icon that looks like a gear in the top right of your browser. 2. 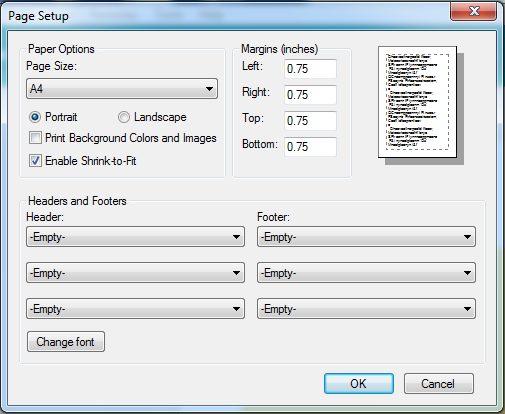 Click 'Print', then from the drop-down menu select 'Page setup'. 3. 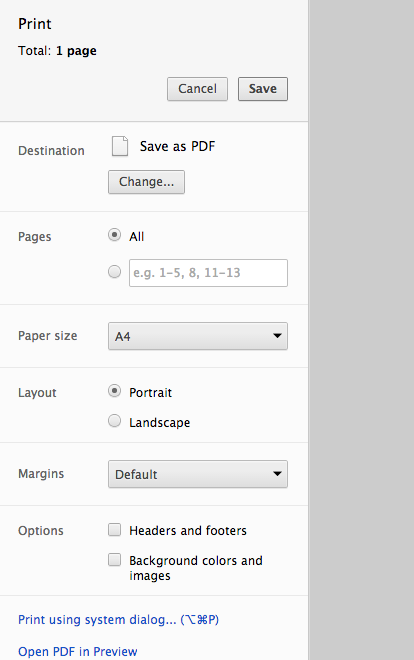 From the paper options select 'A4' and make sure all the headers and footers are 'Empty'.